Here are some notes about some of the (early) "Heroes" of Steel Science (and Engineering). It is a purely subjective collection and does not pretend to do justice to the history of the field or the people involved. I will not even remotely try to establish a "ranking", and that's why names appear in alphabetical order. The first part covers some heroes of iron and steel in some detail, the second part gives only "quickies", typically because not much can be easily found about these guys or because they have been covered elsewhere. It's actually Sir William Chandler Roberts-Austen, a British metallurgist (18431902). While he was born just a Roberts, he later (1885) assumed the name of Roberts-Austen at the request of his uncle, Major Austen, as a condition of inheritance. A double-barreled name is a small price for getting rich, I guess. Source: F.X. Kayser and J.W. 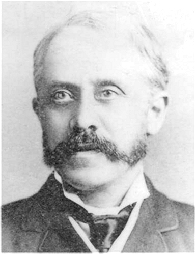 Patterson: "Sir William Chandler Roberts-Austen His Role in the Development of Binary Diagrams and Modern Physical Metallurgy", Journal of Phase Equilibria, Vol. 19 No. 1, 1998, 11. In 1870 he was appointed to the Chair of Metallurgy at the Royal School of Mines (RSM) and started his researches into the structure and properties of steel. He was one (and a distinguished one) of the group or researchers at the RSM and elsewhere who developed the new study of metallography. He then became the head of the new department of Metallurgy in South Kensington in 1880 and received recognition from many overseas institutions. He was a man of wide interests, charming and understanding people, which made him very popular. He is celebrated as the guy who came up with the first iron-carbon phase diagram. That is almost but not quite true, see below. Roberts-Austen is also remembered for being the first scientist who performed a quantitative measurement of diffusion in the solid state (Au in Pb) after A. Fick established his diffusion laws. His first T - x diagram for the iron - carbon system appeared in 1897 (see below) and there is a minor dispute that one Albert Sauveur or one Reinhard Mannesmann preceded him. Anyway, T - x diagrams are not true phase diagrams because they are not equilibrium diagrams (even so they may come close) for the simple reason that "equilibrium" wasn't quite invented yet. Gibbs' ground-breaking work, while published in time from 1876 to 1878, was pretty much unknown for the reasons given here. It was H.W. Bakhuis Roozeboom who, invited by Austen to do so, produced the first "real" phase diagram; see below. Austen's first iron - carbon "T - x" diagram. Roozeboom's first iron - carbon phase diagram. First T - x diagram (Cu - Ag): W.C. Roberts, Proc. R. Soc. (London), 481-495 (1875). First iron - carbon T - x diagram: W.C. Roberts-Austen, Report 4, Proc. Inst. Mech. Eng., 33-100 (1897). First Iron - carbon phase diagram: H.W.B. Roozeboom, The Metallographist, 3, 293-300(1900). 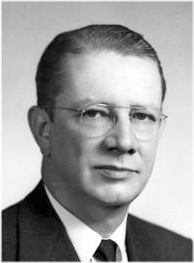 Edgar C. Bain studied chemical engineering at the Ohio State University, finishing in 1916 with a MS but continuing for a Ph.D. in 1919. About 1920, Bain became interested in the X-ray diffraction studies being carried out by A. W. Hull at the General Electric Company Research Laboratory in Schenectady, New York. He joined Hull to explore the possible usefulness of X-rays in solving metallographic problems and used it as a new technique in metallurgy. As his biography (American Academy of Science) so aptly puts it: "There was at this time a great deal of ignorance and confusion regarding the nature of metallic solid solutions. The general tendency was to accept the prevailing view of the chemists that all matter is built up of molecules rather than atoms. Even the view that all metals are crystalline was by no means universally accepted". As one of my teachers, Urich Dehlinger, equally aptly but more briefly put it: "Regrettably we also have chemistry besides physics". In his first published articles (1921) Bain presented the first experimental evidence that metallic solid solutions are essentially a simple replacement of atoms of solvent by those of solute. In his 1923 paper, "The Nature of Solid Solutions" he reported data on fourteen binary alloy systems. After a short interlude with the Atlas Steel Corporation, where he worked on tool steels, and Union Carbide, where working with Cr-steels and discovered the "g-loop, he accepted the offer to head the research laboratory of the United States Steel Corporation. There, together with E. S. Davenport, he investigated the influence of time on microstructure, leading to the "invention" of time-temperature-transformation (TTT) diagrams (originally called "S-curves"), his everlasting contribution to science. Bain might also be called one of the first Materials Scientists because he was interested in the science, the deep stuff behind what was happening, and not only on empirical engineering of steel. In 1934 Bain's colleagues christened some new kind of microstructure "bainite" a name that has stuck until today. Bessemer's father Anthony was a British type setter and inventor who lived in Paris and made some money there before he had to leave due to the unpleasantness around the French revolution that started in 1789. That's why Henry was born on a small estate in the village of Charlton on January 19th 1813. Henry was an inventor who no only got many patents (around 130) but actually made quite a bit of money with inventions like making "gold" powder from brass for use in paints or a method of compressing graphite powder into solid graphite, important for making pencils. Making money with patents is a really impressive achievement! Trust me! I, like most everybody I know, haven't made much money yet with my 30+ patents. One of his inventions was a new kind of rifled artillery shell that was supposed to spin around its long axis in order to stabilize its flight. That is a common thing by now. However, accelerating a projectile down the barrel and into a spin will keep the shell a bit longer in the barrel, causing the pressure to increase - and the state-of-the-art cast iron cannon to explode. Bessemer, not given to giving up lightly, set out to make stronger cannons and in going about this invented the Bessemer process for mass-producing steel, patented in 1856. Except he didn't. Because it is actually the Kelly - Bessemer process. William Kelly, an American subject, had started to do experiments along the same line as Bessemer already in 1847. He only applied for a patent after he heard about Bessemer in 1857. The usual patent squabbles ensued and Kelly essentially lost and was bought out. Nevertheless we credit him for his ideas. Bessemer's invention worked on a lab scale - but not in production for a number of reasons that we know quite well today but nobody knew then. The remarkable fact about Bessemer is that he didn't give up! He applied himself in admirable ways and finally succeeded. This link gives some technical details. Bessemer was knighted in 1879, became a fellow of the Royal Society, and so on and so forth. He is still a name known to many. Strangely enough for such a famous guy, the picture shown here here seems to be the only one we have. 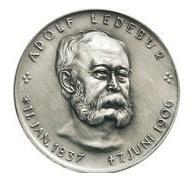 (Karl Heinrich) Adolf Ledebur had to fight to get a good education in essentially mining-related disciplines. Not having the necessary money was the issue, and he was forced to spend quite some time in between studying with doing practical work around mining and foundries in order to raise cash. But in 1862, only 25 years old, he graduated from the "Collegium Carolinum" in Braunschweig, the prestigious predecessor of the Technical University Braunschweig. He worked his way up. For example, from 1869 to 1871 he headed a foundry. After 13 years of practical work in high positions. In 1884 he finally became a Professor for "Hüttenkunde und Gießereiwesen" (mining and casting science and engineering) at the "Königliche Bergakademie" (Royal Mining and Metals Academy) in Freiberg/Saxonia, still among Germany's No 1 institutions in the field. Even the Japanese turned to him and he earned many honors (and probably some cash) because he was instrumental in establishing a big steel complex in Japan. He became quite famous, not everybody gets to be on a medal as shown here. This medal was endowed by the association of of German foundry engineer in 1934 and presented to outstanding scientists / engineers working the field. While Ledebur is still remembered today because "Ledeburit" is the name of the pseudo2 phase cementite / pearlite. It's "pseudo square" because pearlite is already a pseudo phase. He was considered the foremost German iron expert in many ways. For example, his celebrated book (see below) did not just contain technical stuff but also economical stuff concerning proper accounting and the like. He had his hand in everything concerning iron and steel technology. I will not go into details because most of his topics and insights are outdated from a modern point of view. However, he did come up with the first practical way to determine the oxygen content of iron. Ledebur, Adolf: Handbuch der Eisenhüttenkunde (handbook of iron technology) 1883 - 1908, 5 editions, translated into many languages. The feared German "handbooks", by the way, most certainly will not fit into your hands. They typically come in innumerable volumes and weigh close to a ton. Adolf Karl Gottfried Martens studied mechanical engineering. 1879 he became a Professor at the Technical University Charlottenburg, the Grandma of the Technical University Berlin. He was the director of the the mechanical testing facilities; 1984 he became the director of the "official" state materials testing facility. Martens was one of the "founding fathers" of materials testing and introduced this discipline in Germany. In particular he pushed the use of microscopy in metal science and published the influential "Handbuch" (see above) of Materials knowledge. He pioneered, as we would say today, a lot of hard and software for testing, and in essence founded what is now the prestigious and large "Federal Institute for Materials Research and Testing". 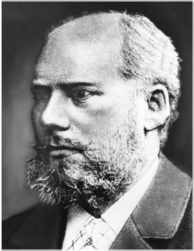 In 1898, Floris Osmond published a paper describing a general method for the microstructural analysis of carbon steels. 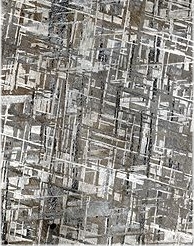 Osmond described the characteristics of several metallographic constituents observed in steels. Following the mineralogical approach, he gave denominations to these constituents: Sorbite after Henry Clifton Sorby, Troostite after Louis-Joseph Troost, and Martensite after Adolf Martens. Sorbite and troostite have merged into what is now called bainite but martensite is with us to stay. it is now a generic name for all phases that result from a diffusionless shear transformation in whatever material. A. Martens. Handbuch der Materialienkunde für den Maschinenbau, Springer 1898 (Handbook of Materials Knowledge for Mechanical Engineering). 2 volumes with together 1003 pictures. Robert Franklin Mehl (of German orgin; Mehl = flour) is known to us from the famous Johnson-Mehl-Avrami-Kolmogorov equation. He had done more than that in the world of steel, however. In particular he had terrorized his underlings to do great work, it seems, and he used his high-up position to oppose reasonable science and to promote his own warped views. This is strong stuff and before I proceed to prove it, I need to point out that you can be an a..hole, indeed, and still be a great guy. Take Wagner, for example, mad King Ludwig, Charlemagne, or (include artist / king / politician of your choice; not to mention those ladies from....). You can be a terror to your people and a great scientist. You can be a terror to your people and a mediocre or bad scientist or whatever, too. Mehl certainly achieved a lot in steel science, whichever way that was done. Everything remotely related to the science behind TTT diagrams was certainly advanced by him. Since he made a big career, he had the opportunity, the motivation and the means to further science and engineering of iron and steel. Why do I relate him to certain orifices? Well, all I have to do is to quote from the lengthy article of the U.S. Academy of Science that was written in praise of Mehl. You don't even have to read much between the lines in this case. "Like most metallurgists at the time, Mehl was not an especially talented mathematician, though he strongly encouraged advanced mathematical treatment on the part of his students. Nevertheless, (....) his pride in metallurgy (...) made him somewhat unsympathetic to the trends that have matured into materials science, which encompasses the nature and properties of all materials, regardless of their origin or composition." "Mehl's great ambition (...) interfered on occasion with his scientific professional judgment. This seemed to lead him into scientific controversies that often became personal and strident. Two famous examples are the campaigns he waged against the concept of dislocations and against the role of vacancies in diffusion, especially as manifested by the Kirkendall effect (movement of inert markers in a diffusion couple providing evidence for a vacancy mechanism of diffusion). According to associates, he regarded dislocations and vacancies as fanciful inventions of physicists intruding into his domain of metallurgy and discouraged the faculty from mentioning these concepts in the classroom and at meetings." This is a good definition of a scientific a..hole: be wrong and be tough about it. "Mehl's view of metallurgy as a connected whole from smelting to the physics of the final use made him unwilling to share the interest of many of his colleagues in materials broadly. Even though his slant of mind was more like that of a physicist than most of the members of the profession, he seemed rather to have resented the intrusion of metal physics into physical metallurgy and did not develop close professional relationships with physicists, either individually or institutionally. 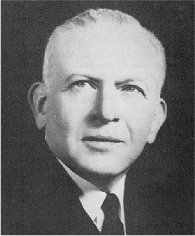 He opposed the move toward the newly oriented field of material science and engineering that began to replace metallurgy in universities around 1960, believing this move was both a hollow gimmick to obtain funding and unwise in view of the specialized knowledge required for the study of each major type of material (e.g., metals, ceramics, semiconductors)." In other words: What I don't understand or care about has no value. "Students have remarked that once Mehl had studied a field in depth, discussed it with them, and had formed his own opinion as to the importance of certain directions of research and the probable outcome, he tended to oppose continued originality on the part of students. Once the thesis topics had been selected, deviations were discouraged. Further, once he felt he understood a problem well enough for his own satisfaction and was moving on to other things, he became rather impatient with students who deviated from his view. Similarly, faculty members were encouraged to adopt the Mehl view on research directions and on controversial topics in classroom presentations and at meetings." "Mehl expected hard work. 'You can't be a scientist on eight hours a day' was his stated principle from his Naval Research Laboratory days onward, and he attracted associates who felt the same way. Students referred to themselves as Saltminers as a badge of honor." Well, if you are worked to death by some guy standing behind you with a whip and you have no way to escape, it helps to consider the guy to be a God and your ordeal to be just a transient to paradise. The same concept worked nicely for all major religions, after all - why not for science? Christian Ferdinand Siemens (1787 - 1840) and his wife Eleonore Deichmann (1792 - 1839) produced not only some truly remarkable offspring but lots of it: fourteen altogether. Her (probably) first child Mathilde was born in 1814, when Eleonore was 22 years old, The (probably) last one, Otto, was born 1836, 9 years before she died 47 years young in 1839. Christian Ferdinand was a tenant farmer but wasn't doing so well. One wonders if Eleonore was a Tiger Mom (in between being pregnant). Even her less remarkable sons made it to rather high ranks in society, like doctor, professor, consul, lord of the manor and so on. Her surviving daughters could not possibly have had professional careers in those times but at least married "big" guys. Friedrich August Siemens *1826 Menzendorf, Ger. Ernst Werner von Siemens (ennobled 1888), was the Eldest of the three of interest here. 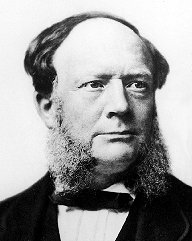 Carl Wilhelm Siemens; later Sir William Siemens (knighted 1883) left for London in 1840 as an agent of his brother Werner. He never came back and became a British subject. Friedrich August Siemens joined his brother Wilhelm for a while in England (and actually got the patent for the "regenerative furnace") but went back to Germany in 1857 or so. (Ernst) Werner Siemens, for lack of money, couldn't' finish his schooling and took refuge in the Prussian army, aged 17, as a volunteer. That allowed him to pursue the engineering education he was after. In that capacity he defended the city of Kiel (where I live) successfully against the Danish invaders in 1848. Werner got hooked on electricity and started inventing things. In particular the looked into telegraphing and in 1847, together with Master Mechanic Johann George Halske, founded the "Telegraphen-Bauanstalt von Siemens & Halske" (Siemens & Halske Telegraph Construction Company) the root of the present-day Siemens corporation. Business was good with Russia, and another brother, Carl Heinrich von Siemens headed the first foreign agency of "Siemens & Halske" in St Petersburg. The first practical designs for a dynamo were announced independently and simultaneously by Dr. Werner Siemens and Charles Wheatstone. On January 17, 1867, Siemens announced to the Berlin academy a "dynamo-electric machine" (first use of the term) which employed self-powering electromagnetic field coils rather than permanent magnets to create the stator field. On the same day that this invention was announced, Charles Wheatstone read a paper describing a similar design with the difference that in the Siemens design the stator electromagnets were in series with the rotor, but in Wheatstone's design they were in parallel. The use of electromagnets rather than permanent magnets greatly increases the power output of a dynamo and enabled high power generation for the first time. This invention led directly to the first major industrial uses of electricity. Let's just take note of of one point: Without electricity you and I and most everybody else wouldn't be doing all that well; we wouldn't probably not even exist. And most certainly we would not have the modern iron and steel industry, that allows, for example, to make affordable cars. Sir William Siemens also went into studying engineering early on. He had a close relation with Werner, who took it upon himself to teach Wilhelm some math so he could learn English in school instead. When he finished studying engineering in the renowned Göttingen University at the ripe old age of almost 19 (my students typically join the university around age 21) in 1841, and - after a quick and very successful apprenticeship - left for London on March 1843, as an agent for his brother Werner. His siblings and the family weren't doing so well and he hoped to earn enough money by selling a patent in England to help support and educate his many brothers and sisters. 1847: Invention the regenerative furnace. It was, however, his brother Friedrich who made something out of that invention; see below. 1874: Caused the first ship to be build for putting down the first transatlantic cable. He applied his scientific mind also to one of the biggest puzzles of his time: what keeps the sun going? His answer (as the answers of everybody else) was wrong, of course. Friedrich Siemens started his career as cabin boy at the age 15. While he loved the sea and intended a Navy career, his brother Werner brought him into his company, where he made valid contributions. What we do know is that he was in England from at least 1847 to 1851 (he represented the company on the big World Exhibit), and that while he was there he interacted with his brother Wilhelm. His activity in England was interrupted, however, only by the defense of the city of Kiel (that's were I live) against the Danes in 1848, the year of revolutions. The defense was commanded by Werner, who asked his brothers to come to northern Germany to support him. Following the hostilities, Friedrich returned to London to assist his brother William in selling the pointer telegraph in England. What I don't know, however, is why the English Wikipedia doesn't know him and why in most English contributions only Sir William is noted as the inventor. I could guess, though. Back in Germany he applied the regenerative furnace principle to the glass industry. He founded a company in 1856 that produced furnaces for the glass industry. In 1862 his brother Hans (one of the 7 other ones not mentioned here) founded a glass factory based on this new furnace that eventually allowed to increase productivity enormously (more than 60 fold). Friedrich took over when Hans died in 1867 and became a successful industrialist. Originally he wanted to become a doctor but had to give up this idea and make money as a police court clerk until 1879. He also had a passion for chemistry and metallurgy and attended evening classes. There he learned about the problem of removing phosphorus from the Bessemer process, something chemists could not achieve despite major efforts. One of his tutors pronounced in 1870: "the man who eliminates phosphorus by means of the Bessemer converter will make his fortune". Thomas felt himself up to the task and started some experiments. He got his cousin Percy Carlyle Gilchrist (1851-1935) involved, who worked as an analytical chemist in the Blaenavon ironworks in South Wales. Starting in 1877, Thomas travelled to his cousins place on weekends; there they had the means to do (secret) experiments. The management eventually noticed what was going on but supported the two budding inventors. In 1878 they reported their process to the (unimpressed) Iron and Steel Institute in London. Amateurs claimed to have beaten untold numbers of well paid professionals? Come on! Fame (and riches, one hopes) descended on Thomas and Gilchrist. Andrew Carnegie took a licence for the then sizeable sum of 250.000 $ and remarked: "These two young men, Thomas and Gilchrist of Blaenavon, did more for Britain's greatness than all the Kings and Queens put together. Moses struck the rock and brought forth water. They struck the useless phosphoric ore and transformed it into steel... a far greater miracle". Count Alois Beckh von Widmanstätten, or more precisely Alois Joseph Franz Xaver Beckh, Edler von Widmanstetten, issued from Graz in Austria, like A. Schwarzenegger, to name another famous Grazer.  10. Juni 1849, Vienna. Alois did study science but actually had to work for a living - in positions like running a spinning mill. In 1807, upon direct interference of the emperor Franz I, he was placed in charge of the "Fabriksproduktenkabinett", a private collection of technology owned by the Emperor. Being of (impoverished?) nobility was bad but you still knew a few important people, it appears. In 1808 he became the director of the Imperial Porcelain works in Vienna. Not exactly steel stuff. However, the "Fabriksproduktenkabinett" exhibited new products of the empire and needed some space. During the effort to move to a new building, Widmannstätten met Karl Franz Anton von Schreibers who saw to the emperor's collection of minerals and stuff (Vienna Mineral and Zoology Cabinet), including stones fallen from the sky. Widmannstätten got interested in those artifacts and started numerous experiment, cutting, polishing and etching these meteorites as we call them. He didn't publish what he saw (writing / publishing is a very lowly activity, as we all know, not becoming an aristocrat). He only mentioned his results to Karl Franz Anton von Schreibers who named them "Widmannstätten figures" in his own (later) publications around 1808. He denied to be portrayed, so we have no picture of him (photography and paparazzi weren't invented yet). The "real" discoverer of Widmanstätten figures was actually one G. Thomson, a British subject.. He wasn't really trying to figure out anything, he just wanted to remove the rust from some Russian meteorite by bathing them in nitric acid while hanging out in Naples, Italy. He published what he saw in a French Journal in 1804, four years before Karl Franz Anton von Schreibers, but possibly not before Widmannstätten talked about it. So who should get the credit? The multinational Thomson or an parochial Austrian? Don't ask a German. Wikipedia and the Pages of the city of Graz. M. Osmond seems to despair of getting sections sufficiently smooth by the aid of the professional polisher, by means of revolving emery wheels, bobs, and mops; he is reduced to the necessity of obtaining suitable sections, free from scratches, by the tedious and laborious operation of rubbing by hand. He therefore adopted a series of emery papers placed on glass. Polish Attack: This consists of adding to the polishing material some liquid, which would be inert by itself, but which exerts a slight chemical action when assisted by the friction of the rubbing. In this way ammonia water not only does not oxidize steel but preserves it from oxidation, yet, when soft steel is rubbed on the polishing block and a little ammonia water is added, the surface becomes iridescent, and the hard constituents are readily distinguished from the softer ones. Another liquid successfully adopted by M. Osmond is infusion of liquorice-root, made by steeping the root in cold water for a few hours and filtering off the clear liquid. It quickly spoils, and should not be kept for more than eight days. After polish attack it is best to rub the metal with rouge to decolorize it and efface the bas-reliefs." This gives a little taste treat of what it meant to figure out microstructures by microscopes and defect etching! I did tell you that even nowadays it is considered a black art. F. Osmond et J. Werth: "Structure Cellulaire de l' Acier Fond." Comptes rendus de l'Academie des Sciences, Vol C., p 450, February 16, 1885. F. Osmond et J. Werth: "Theorie Cellulaire des Propriétés de l'Acier", Ann. des Mines, 8th Series, Vol. VIIl., p. 5, July to August, 1885. François Marie Emile Martin (1794  1871) and his son Pierre-Émile (1824  1915) were "somehow" instrumental for the success of very important Siemens - Martin process for making iron and steel. I couldn't find out much more about them than what is covered here. Claude Louis Berthollet (1748-1822): see Monge. Robert Boyle (1627 - 1692); first one to go beyond the classical "four elements". Galileo Galilei (1564  1642). First one to do systematic material testing. William Kelly (1811 - 1888); first one to run air throug cast iron; preceding Bessemer. Gaspard Monge (1746-1818). Published major work in 1786 (together with C. A. Vandermonde and Claude Louis Berthollet) that finally used the word carbon (actually "charbone") instead of "plumbago" and thus put an end to the basic question of what makes steel. Antoine Lavoisier (1743 - 1794), "father of modern chemistry", who realized that diamond is carbon. Rene Antoine Ferchault Reaumur (1683-1757) discovered that it is "sulfurous particles", possibly carbon, that turns iron into steel. Abraham Gottlob Werner (1749 - 1817) coined the name "graphite". Charles Augustin Vandermonde (17271762): see Monge.